» 2009 » April archive at Ritmo Bello – San Diego Salsa Dancing - A San Diego, California guide to salsa, merengue, cha cha cha, samba, tango, and all other forms of Latin dance! 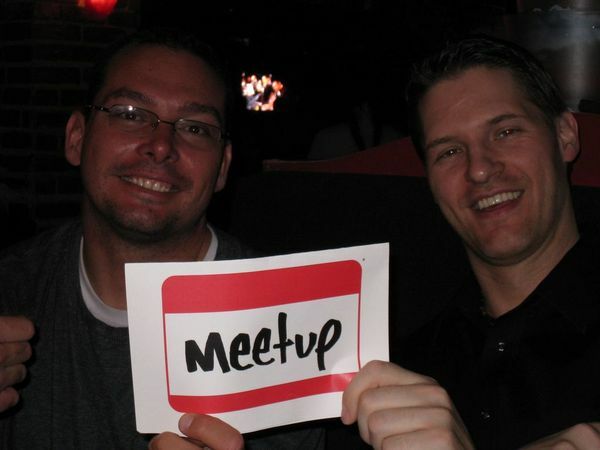 Hard to believe another month has gone by but it’s time again for Meetup.com night at Cafe Sevilla! For those of you that missed our previous meetups, this upcoming event on Wednesday May 6th will be a great opportunity to meet other local dancers. The great thing about this particular event is that we meetup BEFORE the general dancing begins. (The group meets from 9 to 10pm in the VIP section of the club). This allows you to talk with other dancers, share some drinks, and get to know others before everyone runs off to dance salsa for the rest of the night. This event is open to everyone but is especially geared for those new to salsa in San Diego. I’ve found that the event is helpful for anyone that is trying to “get into” the salsa scene as it connects you with dancers of all levels. See you Wednesday at Cafe Sevilla! 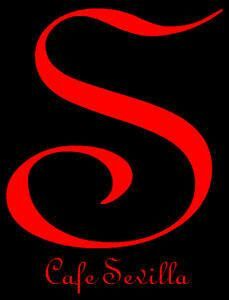 As most of you know I am the main organizer for the San Diego Salsa and Latin Dancing Meetup Group. In that capacity I’m able to meet lots of great people and promote dance throughout San Diego. Meetup.com is the umbrella organization that helps me to do that. Meetup.com HQ sent out this video to let other organizers know about some cool things that they are doing around the world. In this video one of Meetup.com’s representatives talks about how the organization is helping in Iraq. 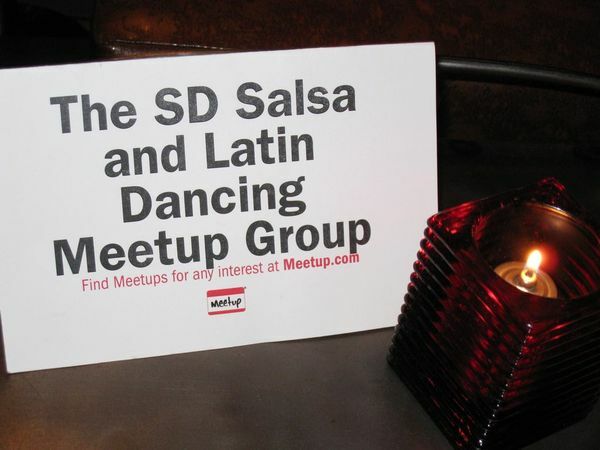 Check it out and see you at one of our local San Diego and Latin Dancing Meetup Group events! Could we see Kizomba in San Diego? It’s not surprising to see new dances grow in popularity. Indeed, many of the Latin dances we enjoy today such as salsa have roots in other dance traditions that were once more common. Over the last few months I’ve noticed a lot of new Youtube videos showcasing a fairly recent dance called Kizomba. 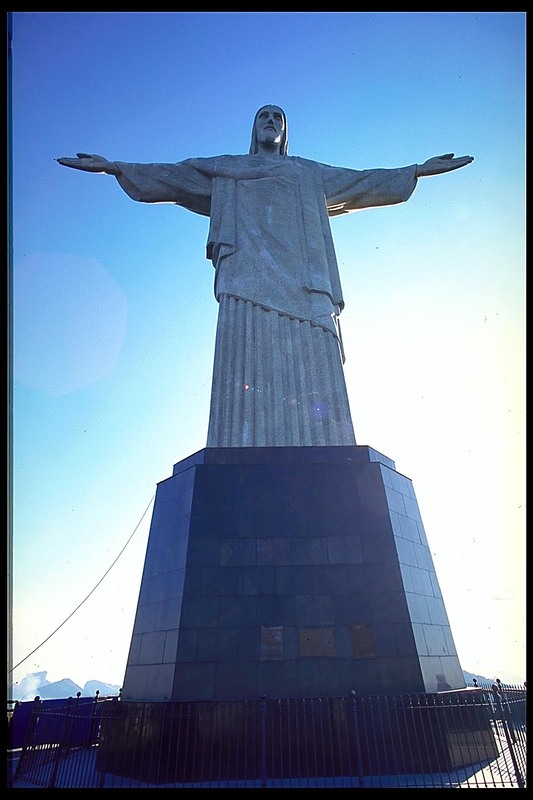 Credited by many as coming from Angola, the music and dance also has connections with Portugal as many of the songs are sung in Portuguese. When you see the videos here you’ll notice that some of the movements are similar to other Latin-style dances such as tango, samba, and merengue. So far I haven’t seen this type of music hit the San Diego dance scene, but I would not be surprised if took hold here. For now we can watch the spread of this music and dance worlwide and await its debut in America’s Finest City. Salsa and Latin Dancers, Don’t Forget the Mints! 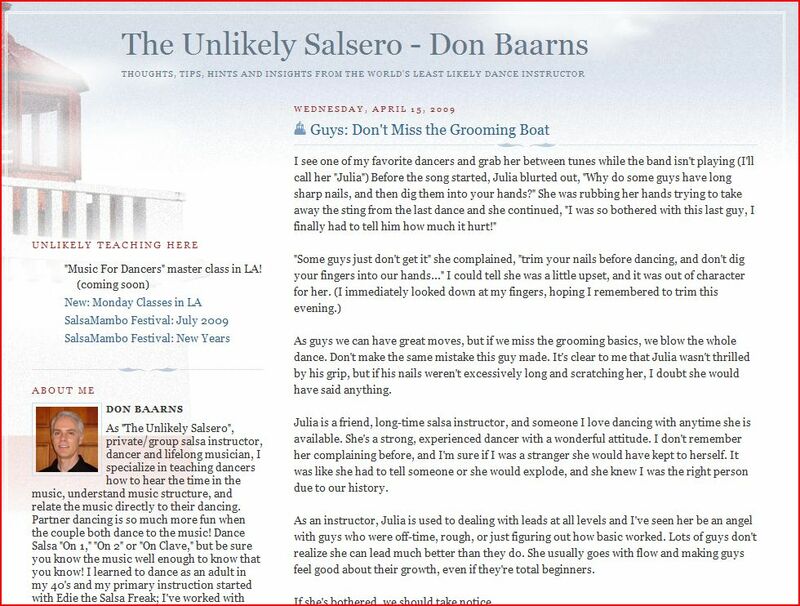 This last week I read a great article by Don Baarns, The Unlikely Salsero, regarding proper grooming habits for men that go out salsa dancing. Indeed, I think he does a good job in the article by describing common problems with some men that go salsa dancing who fail to take care of simple things like cutting their nails, using deordorant, and even brushing their teeth! Aside from the most obvious things like mints and deodorant, I’ve seen many people in the salsa scene here in San Diego take an extra shirt (some people tend to sweat ALOT and women generally do not like to touch a sweaty back), a handkerchief (helps if you want to clean up in between dancers), and even talcum powder. Each person is different so the items you may bring will vary. It’s true that sometimes you can get lucky and go to a place that has a bathroom attendant who can provide many of these items for a small fee, but it’s best not to rely on this. In my own experience, I’ve found that its best to have prepared some basic items before going out to dance. I never go out to dance without bringing a handkerchief, lip balm, and of course some sort of mints. The best ones out there in my opinion are the Listerine sprays that fit nicely in your pocket. What things do you do to prepare for dancing? What makes up your Salsa and Latin dance grooming routine? What are some of your dance “horror” stories regarding dancing hygiene? Share your thoughts here with a comment. A Small Thank You For Reader’s of Ritmo Bello! Click HERE check out their great selection of salsa wear starting at only $29.99! From time to time I leave San Diego to enjoy Salsa and Latin dance in other communities, so I was happy to get a message from our friend J.C. Ospina (LatinFire Productions) about an upcoming event. On May 3rd the 7th annual “Mi Son Cubana Festival” will be held in San Dimas and will be a great way to get out and enjoy Cuban culture for a day. The event will run from 10:00am to 7:00pm at night and boasts lots of Cuban music and food. On the Seventh Day this Salsa Dancer Rested… Happy Easter! Just wanted to send out a quick thank you to everyone who helps support Ritmo Bello through your contributions and readership. We wish you all a happy and safe Easter holiday weekend.